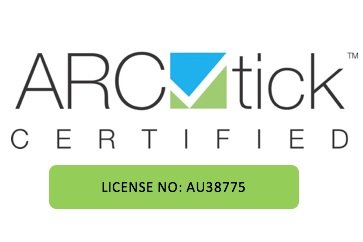 Aquarius Air are the leaders in quality Air Conditioning systems and installations serving all areas from North Brisbane to the Sunshine Coast. Visit our website now to see how we can offer a difference from your normal Air Conditioning installers! Aquarius Air are the leaders in quality Air Conditioning systems and installations. With our office in Warana we service all areas from North Brisbane to the Sunshine Coast. Here at Aquarius Air we offer a difference from your normal Air Conditioning installers. We like to listen to our customers and supply them with comfort you can feel and quality you can see. Aquarius Air now offers full electrical and Air Conditioning services which can assist with your breakdown and maintenance works. Aquarius Refrigeration & Air-Conditioning has extensive experience in design, construct, servicing, facilities maintenance and repairs. We have experience with all sizes of construction projects. Whichever stage you are at, get in touch to see how we can add value. Aquarius Air has extensive experience in design, construct, servicing, facilities maintenance and repairs. We have experience with all sizes of construction projects. Whichever stage you are at, get in touch to see how we can add value. Your comfort at home is very much an individual thing, at Aquarius Refrigeration and Air-Conditioning our experienced staff will assist in providing a solution that meets both your comfort requirements and your budget. Aquarius Air is based in North Lakes and the Sunshine Coast, servicing all areas of Brisbane and the Sunshine Coast. Based in Northlakes and the Sunshine Coast, servicing all areas of Brisbane and the Sunshine Coast.